No artificial taste to this copycat recipe and it can easily be doubled to feed more people. When I was a kid, the bane of my existence was Hamburger Helper. And you may wonder, then why are you posting a copycat recipe on your blog? Well, this isn't really a copycat. It's similar, but it tastes way better than out of the box. My mom made Hamburger Helper a lot and I always despised the weird artificial taste. When I found this recipe, I figured I would try it and see if I liked it or not. I ended up loving this recipe! It was such a good seasoning mix and it didn't taste weird like the out of the box stuff. This is a copycat recipe I can get behind! I'm kind of really happy that Halloween falls on a Tuesday this year because I immediately knew that regular old tacos would be the PERFECT quick dinner before we head out to trick or treat. Feel free to leave a link a recipe in the comments! This soup is reminiscent of spaghetti and is the perfect dinner for a chilly night. I'm so glad that soup season is back because my family is stubborn and we eat soup all year round and it can get kind of strange to heat a hot soup on a sunny 80 degree day in the middle of summer. But we like us some soup. This soup recipe reminds me so much of my mom's goulash and I really loved that. Plus I got to use some of the fresh Genovese basil from my AeroGarden! I'm growing jalapenos right now, but cannot wait to have my basil back once again. I may do an entire group of basil pods. I wanted to mention that although the instructions call for you to cook the pasta with the soup, you can absolutely cook the pasta separately and serve pasta in each bowl and ladle the soup over the top. I tend to cook pasta separately for a lot of soups because I hate leftover waterlogged noodles in my soup. It's all up to you and if you anticipate having leftovers. If you do cook your pasta separately, you could probably swing this recipe to be ready in under 30 minutes because you will just need to heat the soup through once the cream cheese is added. With the pasta in the soup, it's just slightly over, so it's not too big of a time difference. Just a personal preference thing with leftovers in mind. This turkey meatball and orzo pasta soup is such a comforting meal and reminiscent of Italian wedding soup! Good morning, everyone! I'm back for yet another Sunday Supper Movement event. Today's theme is COMFORT FOOD SOUP AND STEW RECIPES, which means I'm about to have at least a dozen new recipes to try on Wednesdays. 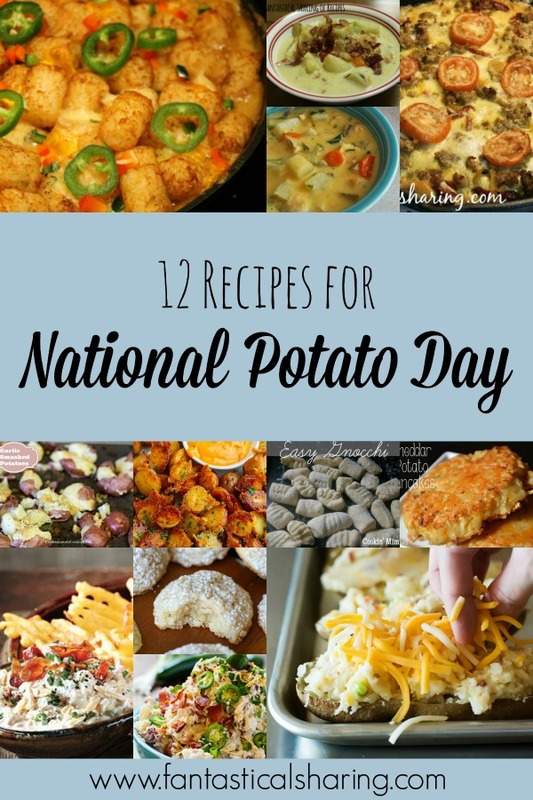 I am such a happy camper because although I have plenty of soup recipes already, I tend to gravitate towards a handful of recipes. Today, I decided to share this meatball and orzo soup. I think that my family liked it so much because it reminded us of Italian wedding soup. Every year, I let my kids pick out the cake they want for their birthday. Each year, Matthew and Cami pick out recipes from my Pinterest board and then go through a process of elimination until they reach the final recipe. I am pretty sure this Andes Mint Cake has been on their list every single year since we started the tradition. It never ends up being the last cake standing, but I decided to go ahead and make it in a non-birthday month. I just figured that even though it was in their top cakes, we'd probably never get around to having it unless I picked it. I have always been a huge fan of Andes Mints. I think they are just absolutely wonderful and I have used them in plenty of desserts. This cake is made from devil's food cake mix and you can do two or three layers. I personally did two because I was being a little lazy. There is a mint filling between the chocolatey layers and then it's covered in a chocolate mint buttercream frosting and a row of Andes mints around the bottom. To top it all off, the extra touch of chocolate ganache and chopped mints is just divine. I have been so in love with ganache lately because it's just so decadent and amazing. It makes every dessert better. Today's throwbacks are both muffin recipes! Honestly, muffins are probably my favorite breakfast to make because they are relatively quick. The first recipe is STREUSEL OREO MUFFINS and it is one of the best muffin recipes I have ever made and one of the best muffins I have ever eaten. It's incredible! The other recipe for reminiscing is this SOUR CREAM BLUEBERRY-BLACKBERRY MUFFINS recipe. These muffins are incredibly fluffy and I love the amount of berries in each bite! It's time again for Choctoberfest and I'm excited to participate for the second time because CHOCOLATE. I am looking forward to finding all sorts of new chocolate recipes from my fellow bloggers. Hello and good morning, everyone! This week brings more comfort food and BRINNER! I usually don't plan for brinner, it just happens - when a day has been hectic and I want something easy to make. Not sure if we'll do pancakes or waffles, but definitely scrambled eggs and bacon! The slow cooking of this pot roast makes for a melt-in-your-mouth stroganoff! I've been on a roll lately making tons of recipes for Sunday Supper Events. Today's event is going to be very high on my list of favorites: COMFORT FOOD PASTA. I am a pastaholic. I have to ration myself to two times a week or I'd weigh a million pounds because I have no self control. Spaghetti weeks are hard because I always make enough to feed an army and then I eat it for lunch for the whole week because I'm ridiculous like that. Spaghetti is my favorite favorite. But I also love stroganoff. I actually wasn't a fan until I was in my teens and had my mom-in-law's stroganoff, which is the bomb dot com. Since trying hers many many years ago (10+), I knew that I was fine with homemade stroganoff - which I have also discovered about a lot of foods. I just prefer homemade versions to whatever other versions (from a box, tv dinner, a school lunch, etc.) are out there. I was definitely intrigued when I discovered this recipe because I also love love love pot roast and I thought that it sounded wonderful to have pot roast cook down and break apart into smaller pieces rather than buy beef stew meat, which can sometimes get a little tough. So it's a win all-around really. There is no tough meat or chopping the meat up. It is a ridiculously tender stroganoff and I really loved the addition of dill to the spices. That bit of sour with the savory flavors of beef, garlic, and onion was simply fantastic. 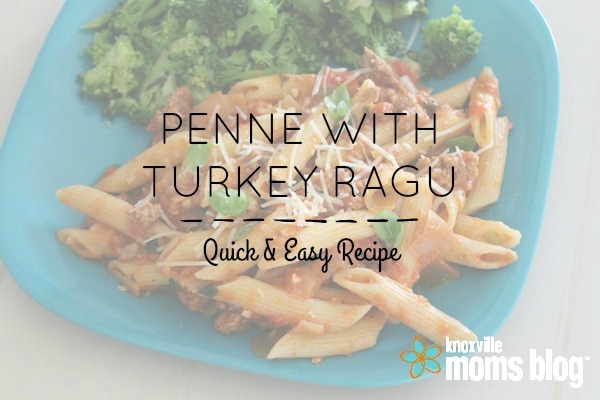 I'm a contributor over at Knoxville Moms Blog and have recently started a "Quick & Easy Recipe" series of posts. Today I wanted to share the last three posts I've done here on my own blog and urge you to check them out. All three are fantastic dishes! 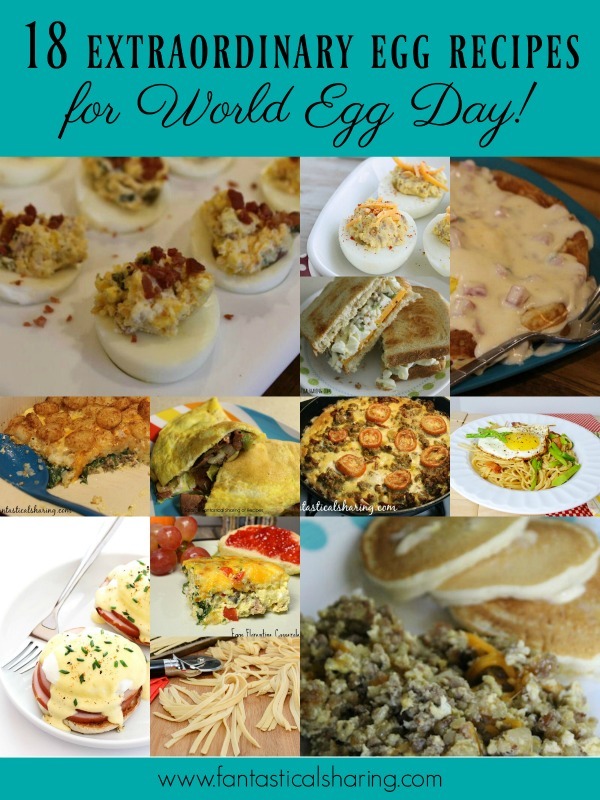 Today is World Egg Day (the 2nd Friday in October) and I went a little bit overboard finding recipes to share...and I think it's because I LOVE EGGS. Eggs are amazing! A lot of the recipes are for breakfast, but there are a few lunch/dinner recipes, as well as a few appetizers. What is your favorite egg recipe? Share a link in the comments below. I've already posted two recipes for schnitzel on the blog and there is probably no end in sight. I have loved each recipe I've tried for different reasons and this one is definitely not any different. Jaegar sauce contains mushrooms. I will say that I do not like mushrooms, but I love the flavor the mushrooms give the jaegar sauce. I picked around the mushrooms. Mostly it's a texture thing, not a flavor thing. Regardless, we loved this schnitzel recipe and loved the different seasonings it had. As always, we served ours up with potatoes (wedges in this case) and lemon slices. The perfect fall soup with ham, bacon, beer, and loads of cheese! I am not stranger to beer cheese soup and it's one of my favorite soups to make in the fall. I'm in love with this one in particular because it has two proteins - ham and bacon. Plus green onion and loads of cheese! The combination is just total comfort food. It's a bonus that it is one pot and can be made in under 30 minutes. Only four ingredients to make the best fall treat you'll ever eat! There is no pumpkin in this snack, but there is pumpkin pie spice. So if you do like cinnamon, ginger, nutmeg, etc., but don't like pumpkin, you can still enjoy this treat. These onion rings are the perfect side to a burger or appetizer for a football game party! I believe this was my first time making homemade onion rings and it was fairly successful. I started off in my deep fryer but it was hard to make these in the basket, so I switched to the pot and it was so much better. I just used my tongs and spider in the pot to maneuver the onion rings as they fried. I loved the flavoring of the garlic and paprika with the beer. Overall, this recipe was easier and much more addictive that I had anticipated. Hello, all! I, as always, love these two recipes for the throwback today. 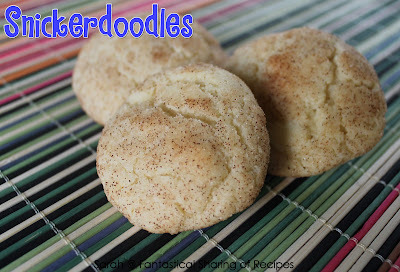 I was really impressed with these SNICKERDOODLES because it was my first attempt to make them and they turned out so well. The other recipe is for BUTTERBEER. This was prior to The Wizarding World of Harry Potter, so I have no clue what that one tastes like, but this one is pretty darn good. This slow cooker chowder has potatoes but you don't have to peel or chop a single one - it's a miracle! I love this chowder so much because it uses frozen potatoes. For some reason, I have an issue with slow cooker soups and potatoes. They never want to cook through. Even if they are cooked on low for 8 hours and they are cut small. I was over-the-moon excited that this had frozen potatoes o'brien - which contains onion and peppers in it. It's the perfect thing for a slow cooker recipe. And I didn't have to deal with peeling and cutting potatoes. So that definitely knocks off some prep time. All-in-all, this soup was easy to throw together and tasted wonderful. I loved how creamy it was and loved the sausage with all the veggies.